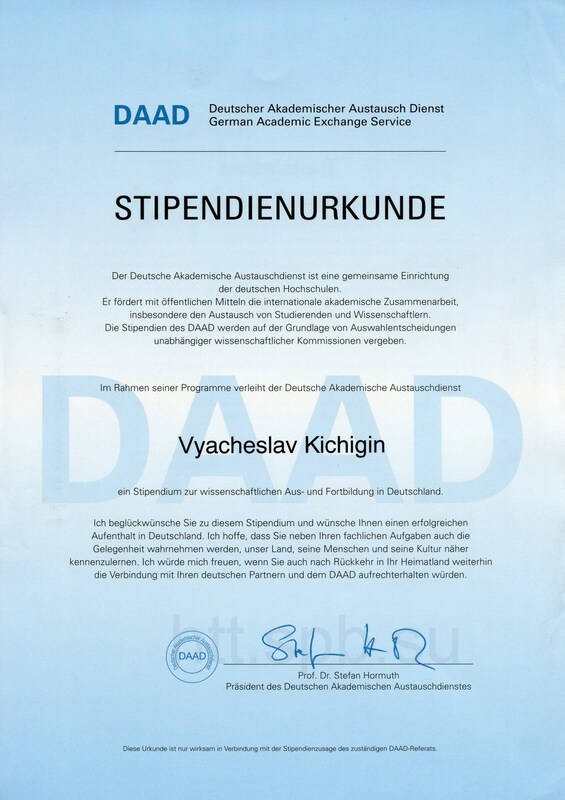 Presentation of diploms of russian-german program «Michail Lomonosov» DAAD was held June 17, 2009 in Consulate general of Germany in St. Petersburg. Assistant of department of electrotechnology and converter engineering Kichigin V. V. obtained this diplom. Our congratulations!! !